In the society that we live in today, we are expected to be perfect. But what is perfect? Every person has a different perception of what perfect is. Statements such as, "Real Women Have Curves" or "Men want a woman with curves, only dogs go for bones" have been spreading around the internet. I find both of these statements very offensive, and a great example of the double standards that we see in our world today. The shaming of people who are "curvy", is seen as horrific and a great offence, yet it is okay to shame a person for being thin? We are taught never to call someone "fat", yet it is perfectly acceptable to call someone "skinny", and it is often seen as a compliment. However, I feel that these two words are both as offensive, and can deeply hurt a person and lower their self esteem. No person has the "perfect" relationship with food. We either eat too much, or too little, and everything in between. Regardless of looks, it is important to make your health your main priority. Eating excessive amount of food, and doing little exercise, can lead to obesity, which can cause ones health to deteriorate, even leading to diabetes, high blood pressure, coronary artery disease, coronary vascular disease, loss of mobility, heart attacks, strokes and even cancer. On the other side of the scales, being underweight also has its share in causing risks to a persons health. Being underweight can lead to amenorrhea, osteoporosis and even infertility. It is important to eat healthily, including lots of fruit and veggies. Fruit and vegetables are mainly water, so there are very few calories in them, so "pig out" on a punnet of cherries,leaving you feeling full and satisfied with no regret or guilt! If you don't like fruit or veg, experiment! Try a wide variety until you find some that you do like, which you can then incorporate into your meals. Not only does it improve the complexion of your skin, it also helps to prevent breakouts, eczema and wrinkles, but it also flushes the toxins out from your body. Don't like plain water, or find it too boring? Simply squeeze some lemon and lime into a glass of cold water to make a tasty and refreshing. Alternatively, you can try sparkling water with strawberries and pineapple. Once again, experiment with your water, try one of my recommendations, try out your own, or stick to some good old H20 as it is! While a healthy diet is very important, that is only half the battle! Its important to exercise as much as you can, whenever you can. Try to get out for a walk, jog or run whenever you can. Join a gym or dance class, find something that you enjoy doing as you will be more likely to stick to it and not see it as a chore. Also, bring a friend along! You can encourage each other to become healthier, and have fun while you're doing it. As I have already mentioned, the aim is, and should be, to become healthier and fitter. If you cut out one bad habit, and incorporate a new one into your everyday life, you will soon see results! In our lives, each one of us will experience great high points, when everything seems perfect, and also extreme lows, when we feel completely lost and helpless. It is important to appreciate and cherish the people and things that make us happy. It is also extremely important to learn how to deal with pain and hurt, not allowing it to get the better of you. No two people are the exact same, each person is different, and therefore everyone deals with situations and their emotions differently. It has been proven that you can teach yourself to become a happier person. This concept, to me, makes perfect sense. Smile, even if you don't feel like it. By doing this, you come across as a positive person, making it easier for someone to strike up a conversation with you. Surround yourself with people that make you happy and bring out the best in you. Remove all negative people from your life, they will only try to bring you down! Do things that make you happy, whether its listening to your favourite song on repeat, going for a run, or reading a book. Eat well and get lots of fresh air, you would be so surprised how a brisk walk can help to clear your head and substantially improve your mood. Always remember, if you are experiencing a time of sadness or depression, it will get easier. The pain that you are feeling right now, it will not last forever. Talk to someone you trust, there is always someone there to listen and you are not alone. Life is a precious thing that we all take for granted. You only have the one life, lets give it our best shot! In the comments section below, leave a list of some of the things that YOU do to stay positive. First, a huge congratulations to us all. New Season, new fashion and beauty trends! 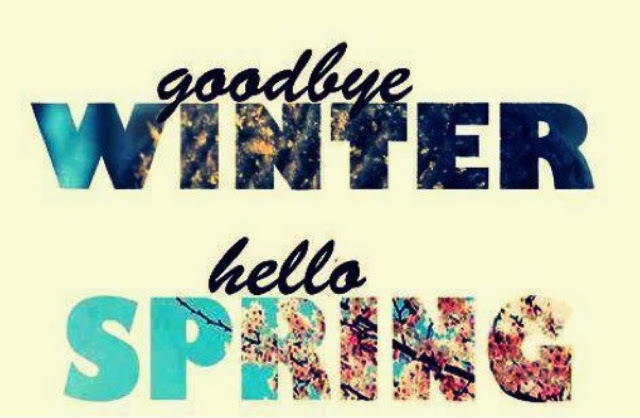 New York Fashion Week is in full swing, defining the trends for the beautiful season that is, Spring! Orange is set to big huge this season! 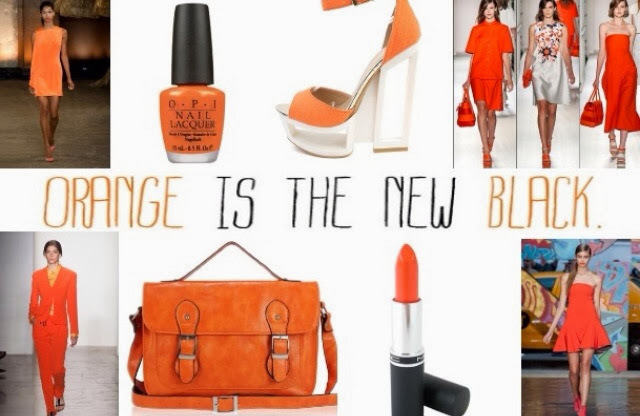 This vibrant, fiery colour has been seen all over Springs 2014 Ready-To-Wear shows! So whether you decide to wear orange, head-to-toe, or simply have it as a pop of colour on your lips or nails, be sure to include this colour in your outfits this Spring! 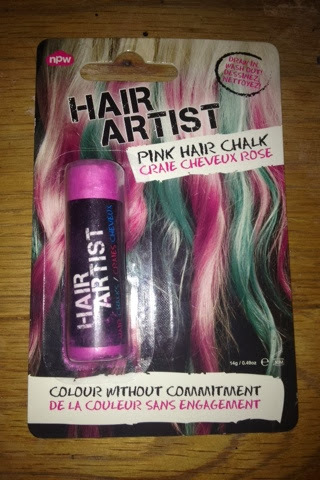 Hair Artist Pink Hair Chalk! Sorry I have not been posting regularly, I am now going to get back into the swing of things with several reviews, tutorials and much more! If you have any requests for a blog post, or you would like me to check out your blog and give it a follow, be sure to leave a comment below! So the other day I was in Topshop and picked up this pink hair chalk! I have recently dyed my hair a chocolate brown colour, I wanted a natural colour to give my hair more depth and look fuller and healthier! I am trying to grow my hair to my waist, it currently sits on my chest. So, I am not going to be dying my hair again for quite some time! This pink hair chalk was €6 in Topshop! First of all.. This stuff is super messy! So I would advise to wear gloves! I started by spraying a Heat Protecting Spray on the section that I wanted to colour. 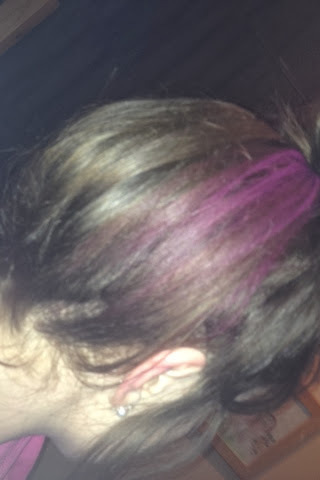 I then ran the piece of chalks through my hair to get a vibrant pink. This was my finished result. I found that the chalk made my hair feel dry and it became very tangled! The pink also stained my hands and neck.. However the pink in my hair did show up quite well considering the fact that my hair is quite dark. 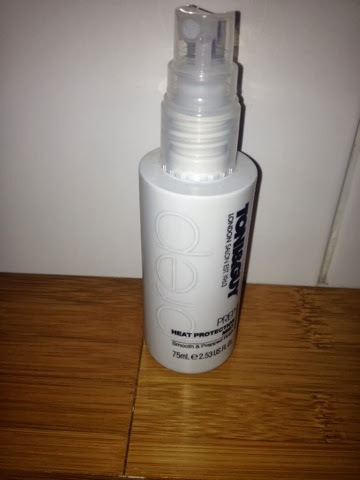 I personally think that this product would work best on someone with blonde hair, although it does work for brunettes too! Overall, a fun but very very messy product! 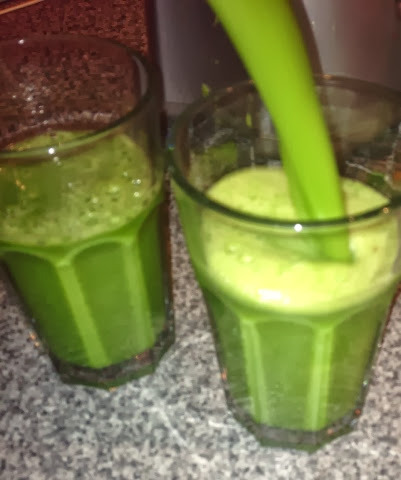 So for the first day of juicing, 13 January 2014, I had 3 Juices and homemade soup! The celery was quite over powering..so next time I think I may use 3 Celery Stalks and 4 Apples. This juice was a beautiful green. And overall very tasty! 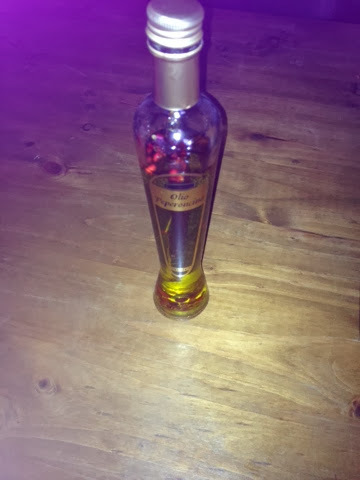 This juice was beautiful! The carrots, beetroot and mandarins have the juice a very sweet taste, which was balanced out with the lemon and ginger! I really enjoyed this juice and it was purple in colour! This juice was my favourite! Look at that for a beautiful green! The curly kale gave the juice a gorgeous earthy taste. And the courgettes and apples kept this juice fresh and delicious! For this soup, I chopped all over the ingredients roughly. I then put them into a microwaveable bowl and poured boiling water over the veggies! I crumbled the stock cube on top, and placed in the microwave for about 30 minutes. I then blended into a soup-like consistency and served with a spoonful of low fat natural yogurt! 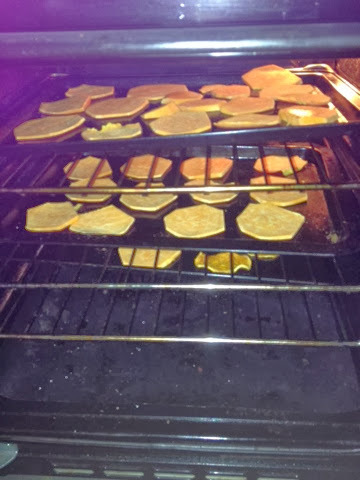 To make these delicious Sweet Potato Chips, first preheat your oven. I then lightly covered a baking tray with olive oil. 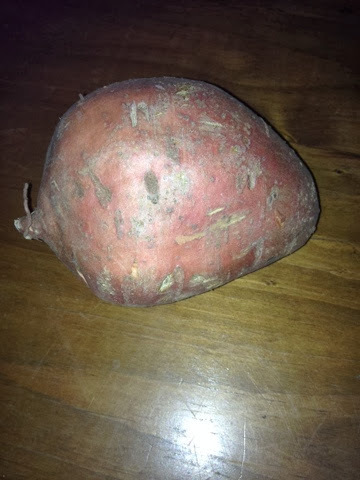 Then take as many sweet potato's as you like, depending on how many chips you want to make. Peel the potato's and slice. 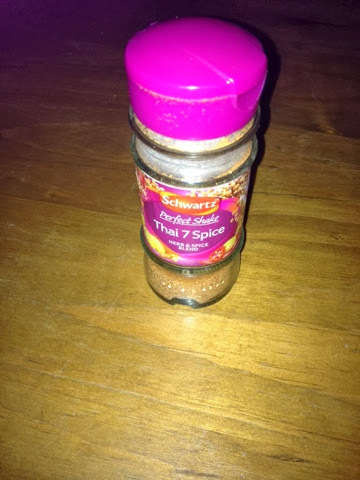 Lightly sprinkle with Thai 7 Spice. 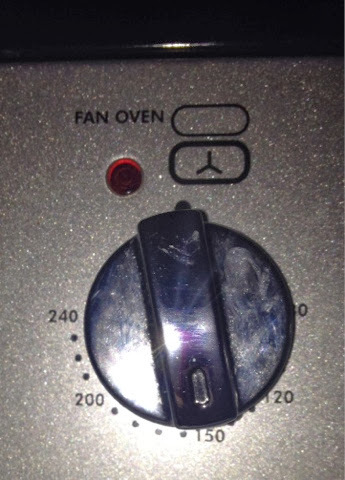 Place in the oven for about 20-30 minutes, depending on how crisp you want your chips to be! 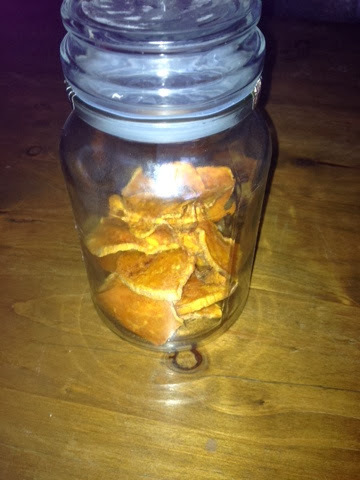 I then allowed the chips to cool and placed in a glass jar. These are perfect for snacking on, and are super healthy! Serve with humus or soup! As you will be aware, I am doing the Worlds Largest Juice Detox. For this detox, you are supposed to cut out caffeine..so no tea or coffee! However, you can drink green tea or naturally caffeine free tea! First, I boiled fresh water and added to this jug. 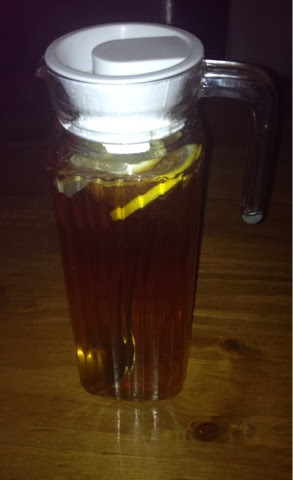 I also placed a metal spoon inside the jug. This stops the glass form shattering as the metal will conduct the heat. 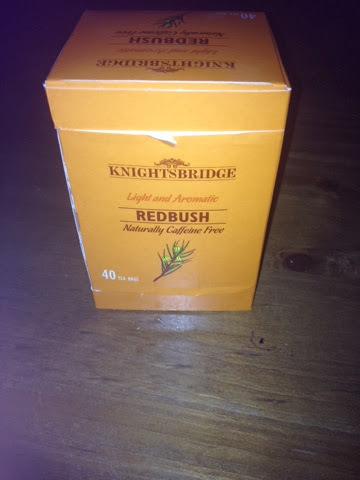 I then added 3 tea bags of Knightsbidge Redbush tea. 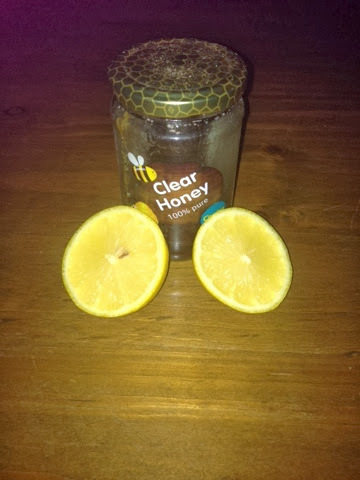 I then added a spoonful of honey and 3 slices of lemon to my jug. I allowed the tea to brew and left it in the fridge overnight! This drink is perfect for having throughout the day when you are craving a cup of tea or coffee! Serve it hot or make a beautiful iced tea by adding ice cubes!